Today I want to share a few of the projects I've made with the newest lines. 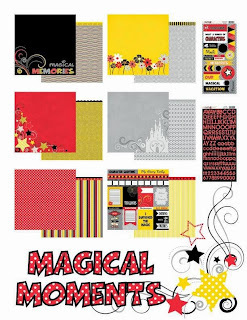 This fun layout using the new Magical Moments line was a based on a sketch from My Scraps & More sketches. 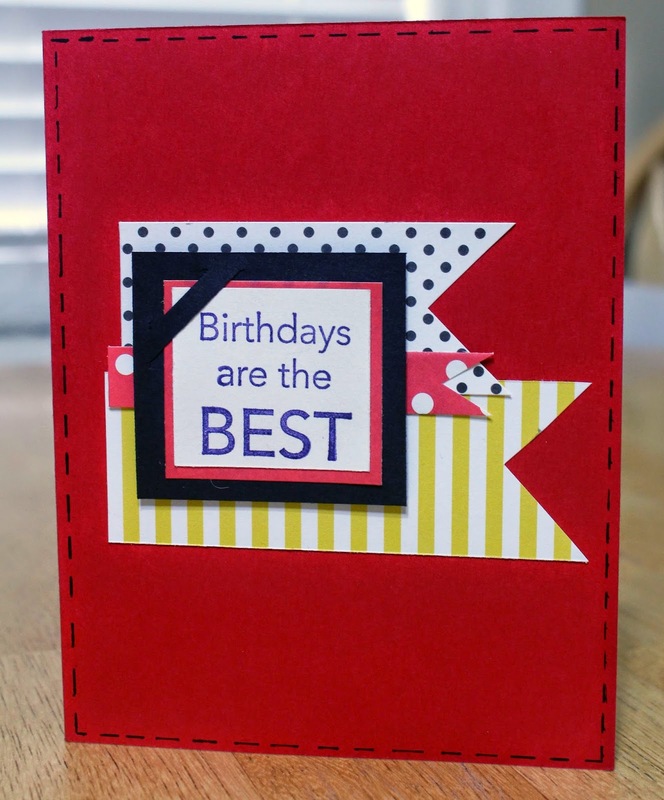 Such a fun design and so easy to use the great graphics on the paper as my main design element. This one from the All Star Baseball line was super fun to put together! I love these photos of my son doing his "thing" at catcher. He really loves it and this line makes it so easy to build a great page of memories. And my favorite line from the release, Fastpitch! I just LOVE this line! The colors are fantastic and play to the sport not team colors, so it really goes with whatever color your team may be. I created this fun page using the line and it's fun quotes. I think this is my favorite project with the line tho. I love this fun spin on a new song and had a blast making these for my daughter's softball team this season. This is my last post as the Moxxie co-ordinator. I'm definitely sad to go. My love for the Moxxie company, products and people I have had the privilege of working with will be lasting. I love this craft and the friends I've made through it. The time has finally arrived! The past year has been fun, but this is my last blog post for Moxxie. So, in honor of moves, I have constructed this card to share with all of you today. A friend just moved into her first home and I can't wait to send her this new home congratulation. 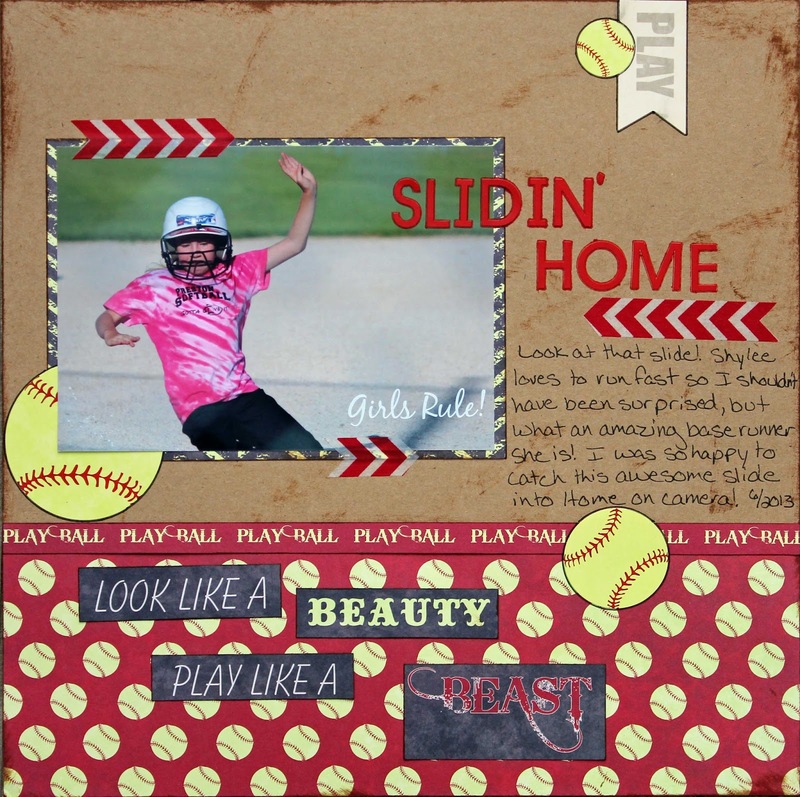 I used the brand new All Star Baseball collection to make this card a home run! The pinwheel is constructed using the b-sides (you know me and my b-sides) of the Play Ball and Home Run patterned papers. I have to give credit where credit is due. This little technique was a Pinterest find! It's a very well-known technique, but as you can see, the Moxxie All Star Baseball collection is perfect for it! 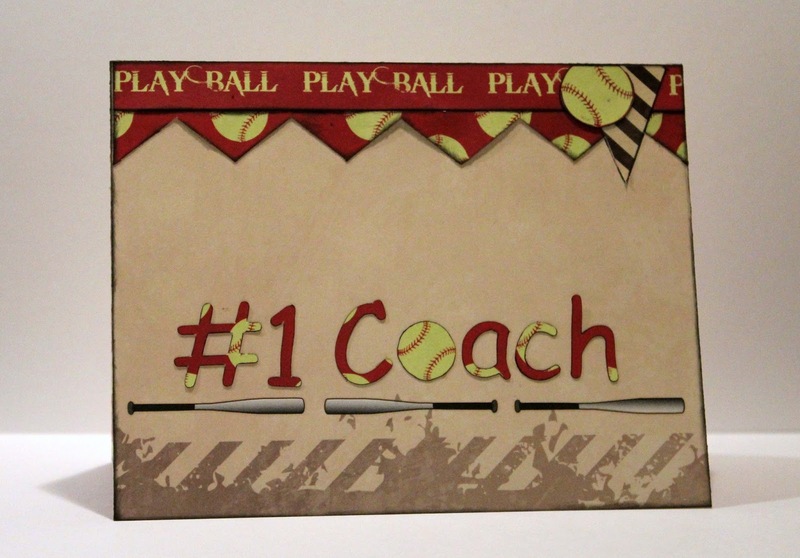 What's also perfect for the Moxxie All Star Baseball collection? CORK! I added a little piece of cork to the center of my pinwheel. 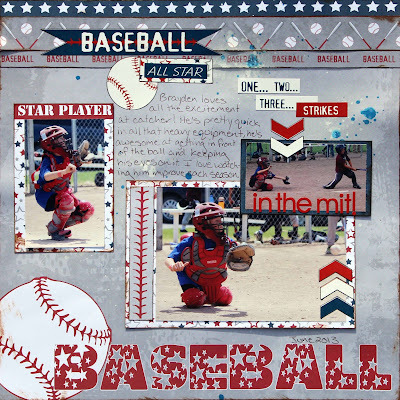 It really sits well with the hometown feel of the colors used in the All Star Baseball line. I hope you like the card and that the projects that I have shared during my time with Moxxie have inspired you to get scrapping! Today I want to share with you some really fun Birthday cards I made using one of Moxxie's new lines- Magical Moments. The really awesome part is when you open them! I used the same technique on all three for the inside but they all look different. We'll start with the first card on the left. 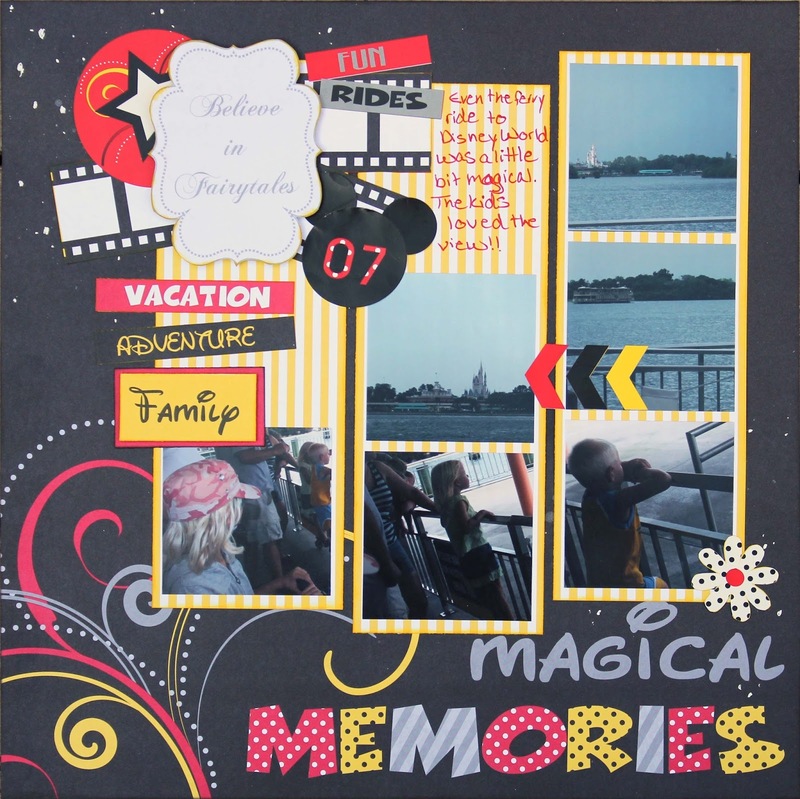 The base of this card is black cardstock I then cut out a piece from the Magical Moments Cutouts and layered. Next I stamped the sentiment right onto the cutout. 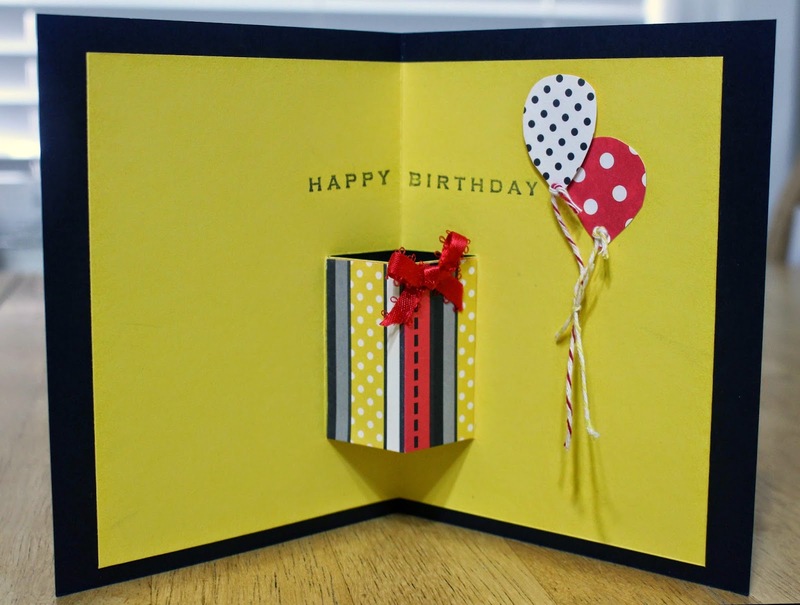 I created a little "gift" with some balloons that I cut out freehand out of some of the scraps I had from this same line. Then tied on some bakers twine to the ends of them and stamped my sentiment along the top. 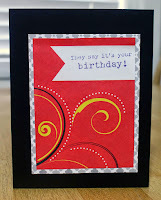 For the next card I started out with a red sheet of cardstock for the base. I then rounded up some scraps I had and cut the ends to created little banners. Then using a black journaling pen to create some faux stitching around the edge. Onto the inside. I love stars! 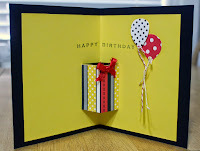 Last but definitely not least..... For this one I used a yellow cardstock base layered with a piece from the sheet Dreams Come True. 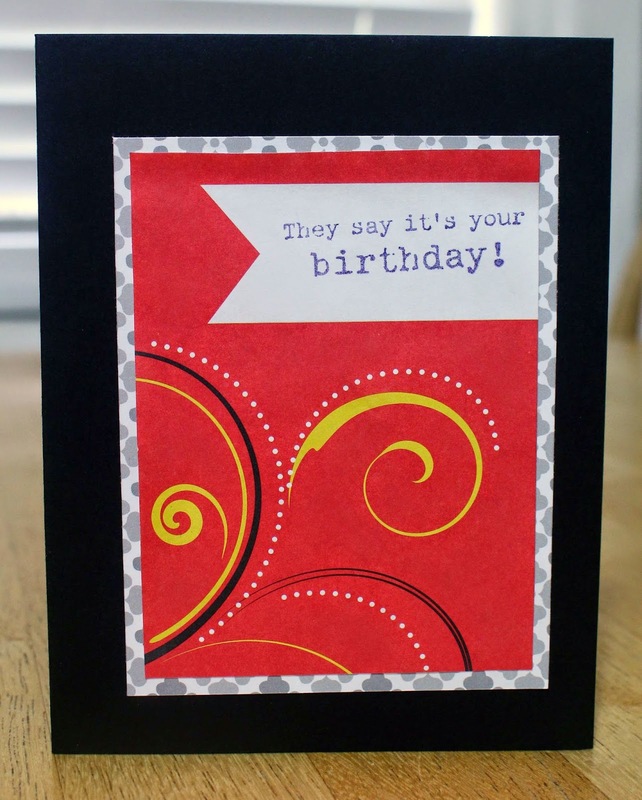 Next I added "Happy Birthday" using Moxxie's Black Alpha's. I then used the banner from the sticker sheet, added some Imaginisce jewels in between each one and a few by the sentiment. 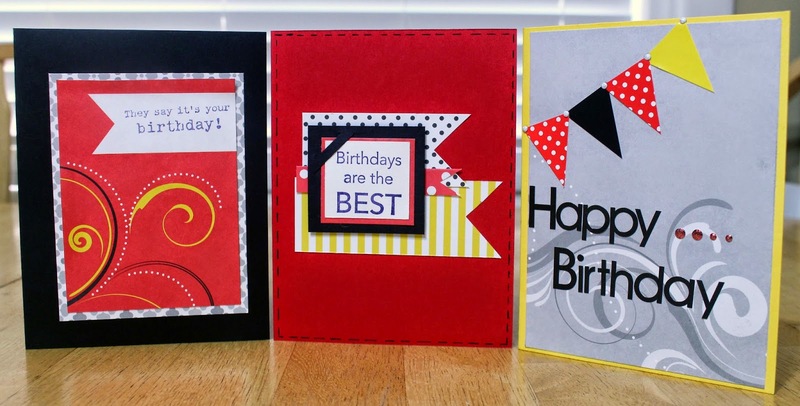 Now I told you at the beginning that I had used the same technique for the inside of all three cards. I found this awesome pin on Pinterest and had to give it a try. To see it Click HERE. I loved how fun and easy these cards were to make! 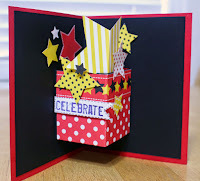 Making a box card has been on my "papercrafts to do list" for a long time. Last week I got busy and made this one, using Moxxie's fantastic new Magical Moments line. I began with a plain white box card. I covered the top parts of the box with the b side of the Magical Cutouts paper. The large star sticker was added to the front flap. The bottom parts of the box and the back were covered with the Wishes paper. I backed the Main Street Signpost (from the cutouts paper) with the b side of the Magical Memories paper. 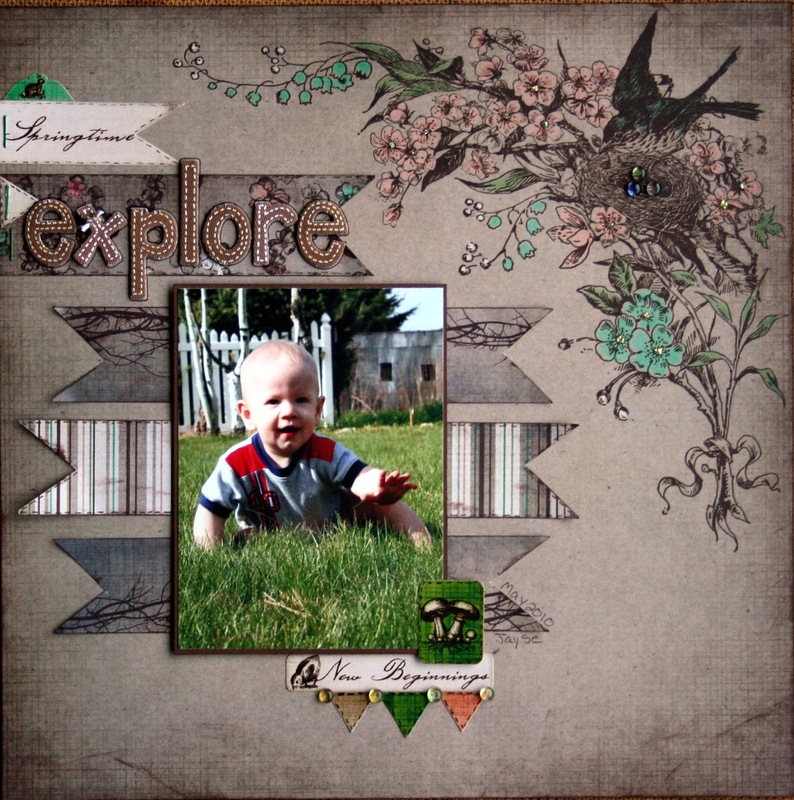 I used many of the Magical Moments papers and a Tim Holtz die for the flowers. 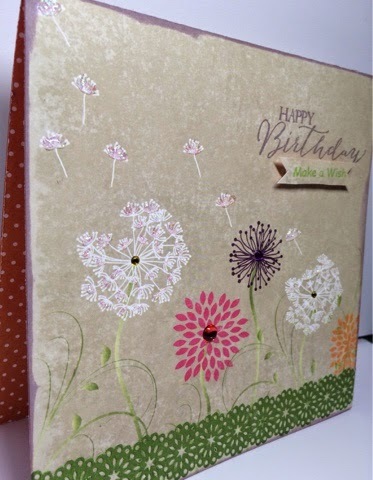 I layered flowers, adding black cardstock behind some and putting enamel dots in the centers. The Family sticker was put on a small dowel stick. I cut the stars from the front of the Wishes paper and layered them together. Hope your day is magical!! Hi all! I am stopping by today to share a fun and easy card i made using the magical moments collection. 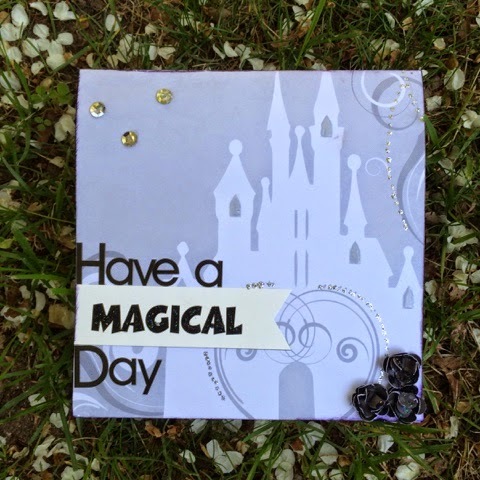 I started by cutting the dreams come true paper down the middle longways at the 6 inch mark (cause you know i love making 6x6 cards) and used the right half with the castle and folded it in half. 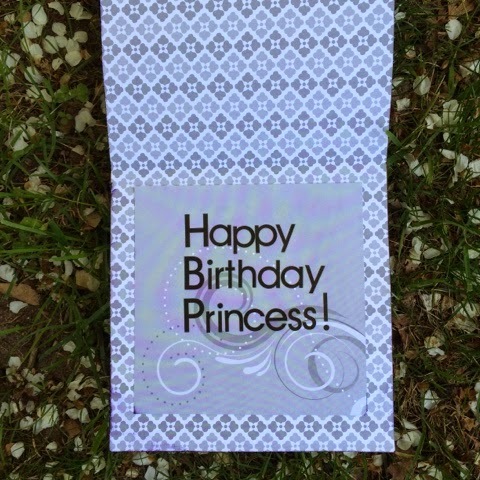 I then cut a piece of the left bottom of the same sheet of patterned paper and made a mat for the inside of the card. I then used the banner sticker from the magical cardstock stickers elements and black alpha stickers for the front and inside sentiments. Lastly, i highlighted how pretty the paper is by using silver stickles, black stickles and crystal effects along with a few sequins and handmade lil flowers. and happy creating! Jen T.
Hello! Today I am sharing a card I made for Moxxie. Moxxie has awesome papers! They are theme based, but can be used for anything. 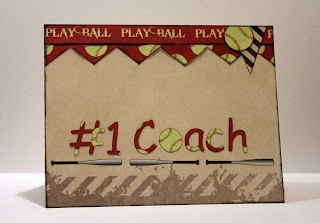 For example, This beautiful paper is from the Fastpitch line. The paper is called "Batter Up". The line is all about softball. But the papers are so dynamic, the possibilities are endless! Used some spray ink through a stencil after I cut and layered the papers. 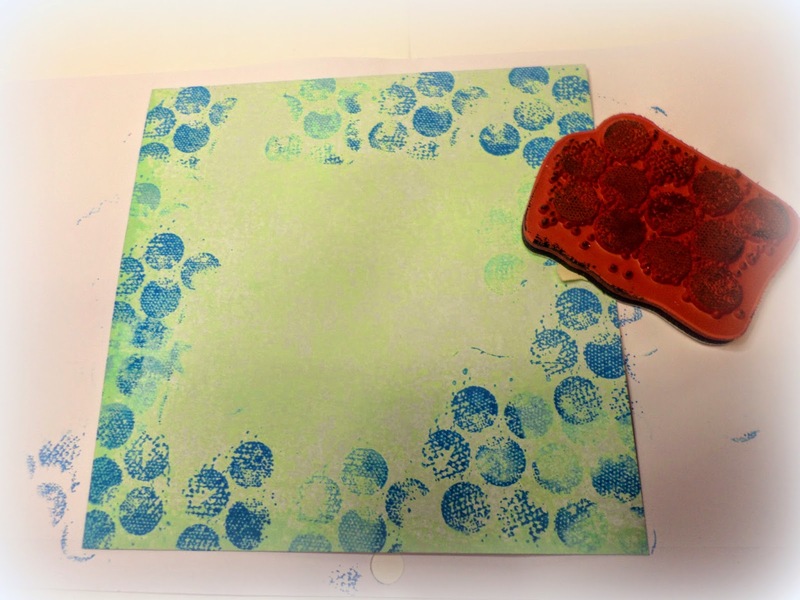 Then I added 2 of my new stamps *eek so exciting* from the Big Bold Blossoms set with SinCity Stamps. 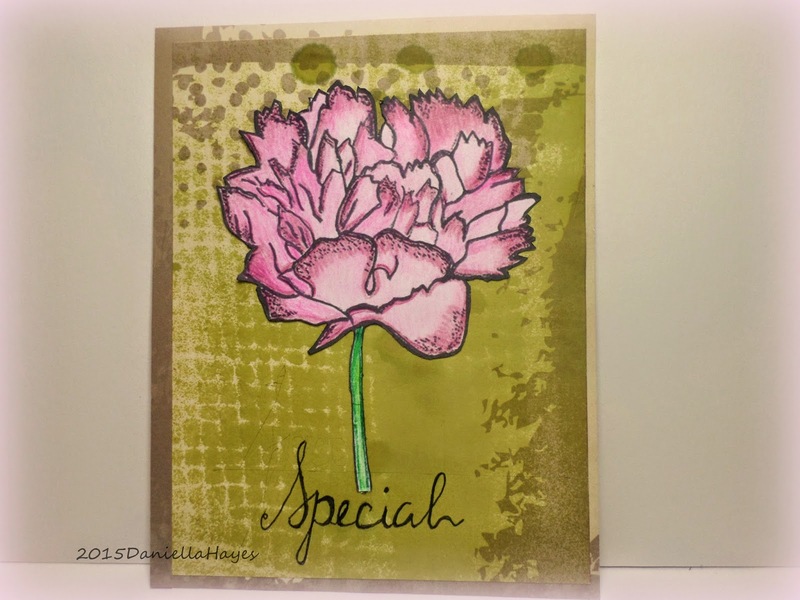 I stamped the flower and the word with black ink and colored the flower with colored pencils. Moxxie always has super awesome fun paper!! Find some at your local scrapbook store or online and make something amazing!! But I'm prepared and have already started a few cards and gift toppers. In the previous post I shared my girl Grad cards and today I have the guys, using Graduation Day. Moxxie does an excellent job using neutral colors to go with almost any school. I really like the punch-out die cuts too, they made for an easy "shaker" card. 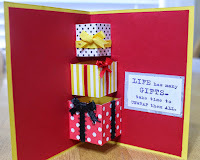 I also promised to share a few gift toppers and I used mostly scraps and a little creativity. So now you have some ideas. Get those cards done, there's a party going on in someone's garage! Where I live it is still cold and dark. There is still dirty snow on the ground too. I keep hoping that any day now Spring will arrive and wash the darkness and snow away! I thought this card was perfect to give to Spring, as a reminder that we are waiting! 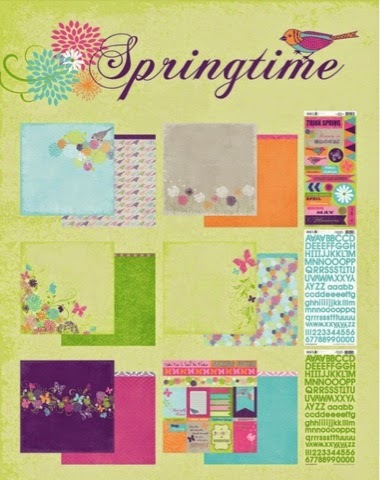 I made this card for Moxxie, using their Springtime line. I used 2 different papers, Songbirds and Take Flight. 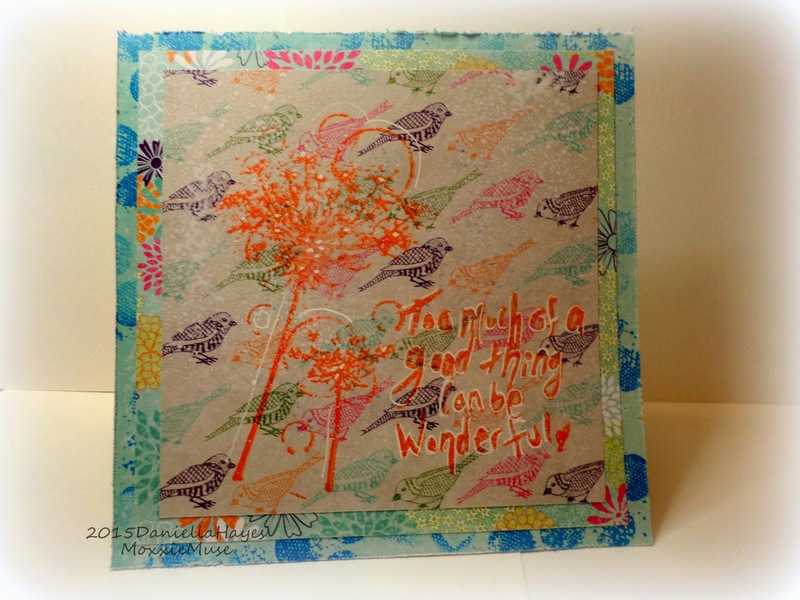 I used a stamp from the Unity Stamp Co. set Beautiful Wish to give the background some interest. 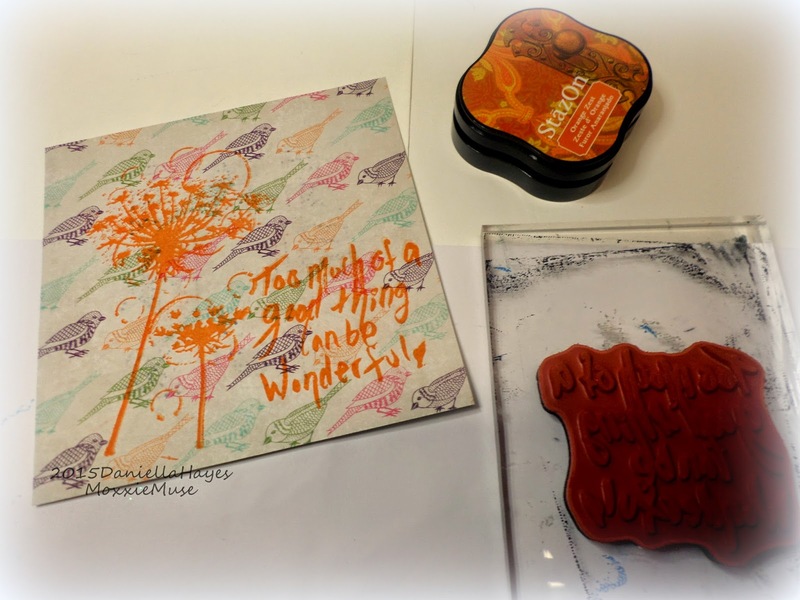 Then I used the flower stamp from the same set and stamped it with orange ink. What's up with me and orange flowers lately?? The sentiment is from a different Unity Stamp set, I don't know the name though. I thought it was perfect! I outlined it a bit with a white pen and splattered a little white ink on it too (because I can never help myself!). 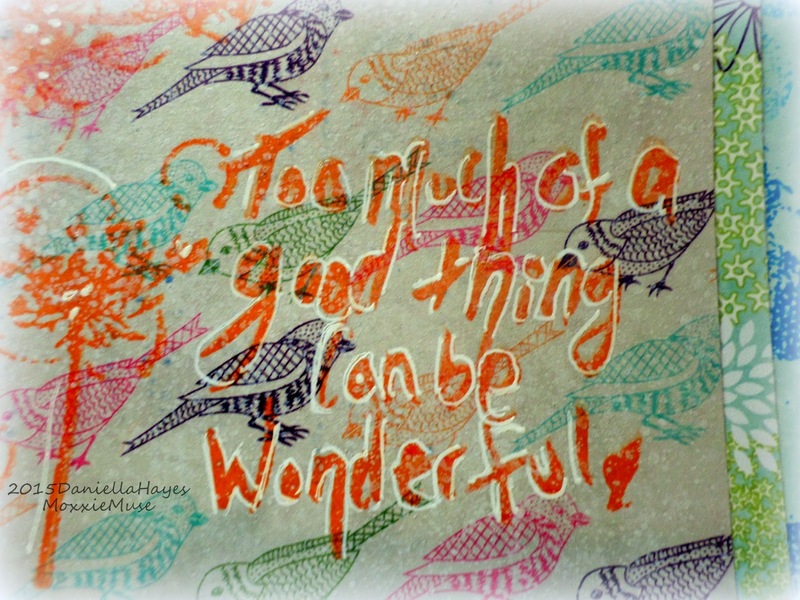 Too much of a good thing can be wonderful! I hope I can report that I am having too much amazing weather next time I blog! That would truly be Wonderful!!! Look at me getting all organized and getting stuff done! 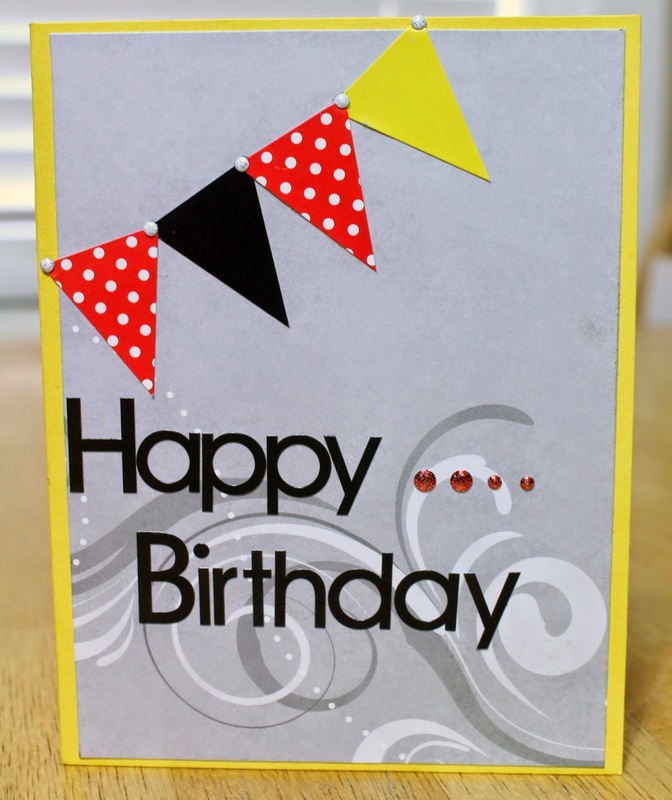 I've been thinking ahead lately and trying to get out all birthday, anniversary, and congratulations cards out early. And so I have been working on Graduation cards. It's only a month until all those parties happen and I want to enjoy them! Moxxie's Graduation Day papers are neutral to accommodate all school colors, ours is black and red. These are for the girl graduates, next post is for the guys (there might even be some decorations). 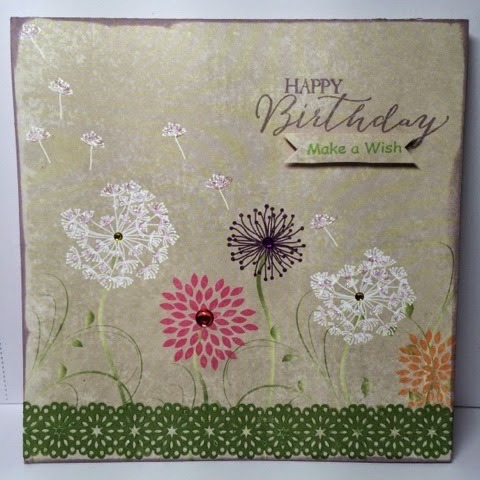 Hi all, i am stopping by today to share a 6x6 birthday card i made using the springtime paper called dandelion wishes. I just can't seem to get enough of these beautiful papers! 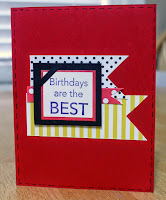 When the paper is so pretty it really doesn't need much embellishing so to keep it simple i stamped the sentiments and pop dotted make a wish and inked the edges of card. Then i stickled the white flower puffs and added centers to the flowers. Last I added lace paper tape along the bottom as my grass. Thanks for stopping by and happy creating!